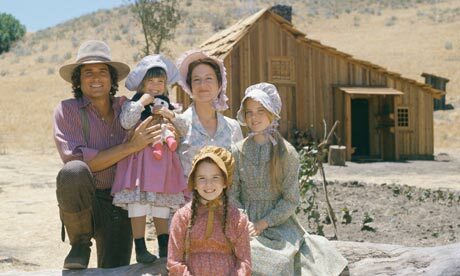 Like most girls born in the 1970s, I grew with the Ingalls family. The weekly exploits of the lovable, law-abiding, ethical, and seemingly perfect pioneers made homesteading look like a lot of fun. So what if there was farming to do and houses to build and livestock to care for? Pa was always home for dinner, good always prevailed, and Ma always smelled like lemon verbena*. Sigh…. all the childhood memories of the “Ingalls Family” were just figments of series creator Blanche Hanalis’ imagination. The NBC series ran from 1974-1983 (the final season airing as Little House: A New Beginning). The series was wildly popular and brought a new generation of fans to Laura’s books. Though mocked as one of the worst series finales in TV history, I have to admit that it’s one of my favorites. I mean, blowing up the ENTIRE TOWN out of spite? Brilliant, Michael Landon! BRILLIANT! Then I read the books. Sigh…. More hardship, more covered wagon journeys, more unpleasant jobs. Fewer neighbors, fewer carefree days, fewer TV moments. No 1970’s sexual politics, no political correctness, and no exploding towns. The Little House on the Prairie series felt like a time machine that brought the real-life experiences of the American homesteader back to life—not the fun time fantasy from TV. And then the sucker punch. The entire Little House on the Prairie series was historical fiction. 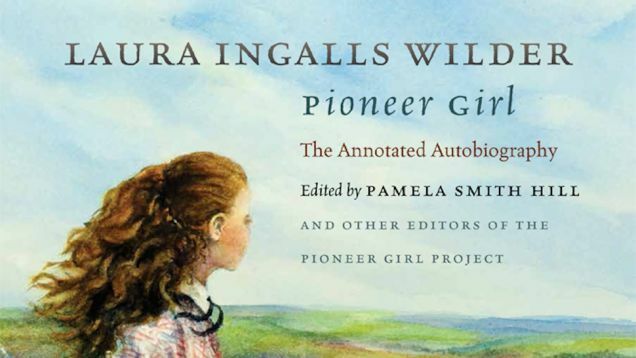 Though most of the characters and events in Laura Ingalls Wilder’s books were based on her childhood, they were not accurate autobiographical memoirs. Many of the characters from the books (and the TV series) never existed. No Mr Edwards, no Adam Kendall, and no Nellie Oleson. If my younger self had paid attention to the fact that she’d pulled the books off the shelf in the fiction section, I wouldn’t have been so surprised. But, like millions of others, I let Laura’s honest and heartfelt narration lead me to believe that everything I was reading was 100% true. The real life, honest to goodness, Ingalls family. From left to right: Caroline (seated) Carrie, Laura, Charles (seated), Grace, Mary (seated). I love that they took a family picture when all the girls were grown. It’s a wonderful thing to have now that they are all gone. Just seeing their actual faces makes them so much more real. Photo © Library of Congress archives. Laura’s original manuscript was handwritten on Big Chief and 50/50 pads. I remember these from when I was a kid! Great paper! Photo © Pioneer Girl Project. Laura Ingalls Wilder. Photo © Library of Congress, Hoover archives. Sometime in college, I discovered a handful of books written about the real Ingalls family. In reading books about her books, it’s easy to understand why most of the changes were made. The Little House on the Prairie books were written for a juvenile audience from a child’s perspective. Their profundity is their unique ability to connect with children of all ages. It is this honesty and candor that allows readers to feel like they are in the wagon with Laura and Mary. But a series of children’s books wasn’t her original idea. 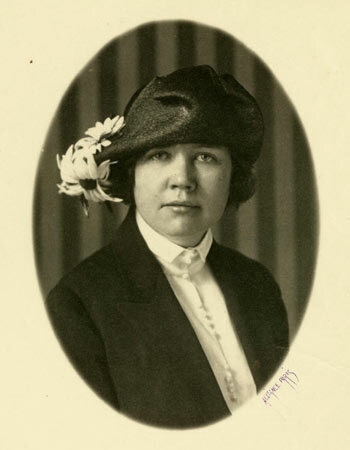 Rose Wilder Lane, Laura and Almanzo’s only child. Before Laura found fame as an author, Rose was famous in her own right. Photo © Library of Congress, Hoover Archives. 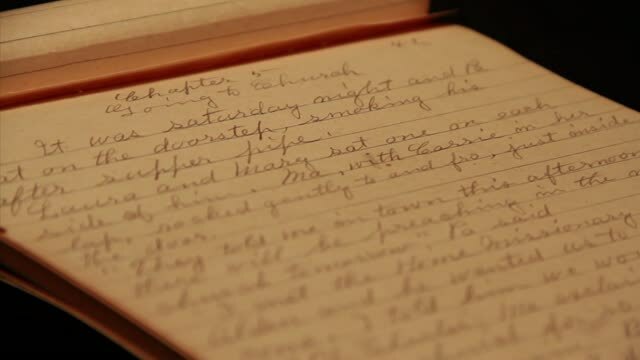 Shortly after her mother and older sister passed away, Laura bought a stack of notebook tablets and began writing down her memories. She titled autobiography Pioneer Girl, and her daughter, author Rose Wilder, sent the manuscript to her publisher. In Pioneer Girl, Laura wrote her life story for adult readers. But Rose’s Depression-era publishers weren’t interested. They wanted inspirational stories, and some pioneer stories simply aren’t suitable for young audiences. Utilizing Rose’s editing skills, the mother-daughter team heavily revised and fictionalized the manuscript, and resubmitted it as a children’s book. Little House in the Big Woods was published and became an overnight success. Laura was given a three-book deal, which quickly became eight books, and, the rest, as they say, is history. 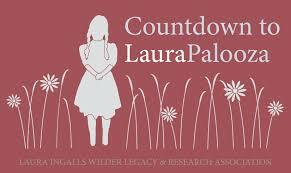 Logo from Laurapalooza 2010, one of the annual events held in celebration of all things Laura Ingalls Wilder. Image © Laura Ingalls Wilder Legacy and Research Association. No one, least of all Laura herself, could’ve imagined the impact her life story would have on the world. Since 1932, the Little House franchise has grown to include the original novels, a decade-long TV series, a miniseries, cartoon series, stage production, at least six separate historical sites, spinoff book series about the different Little House generations of women, fan festivals like the annual “Laurapalooza,” and other books, merchandise, museums, and… and… and…..
Laura and Rose shelved the original Pioneer Girl manuscript, and for the next 80-some-odd years, only Little House scholars had the unique opportunity to read the original hand-written pages. In almost every book about the Ingalls family that I read, Pioneer Girl was heavily referenced, but the average Little House fan couldn’t easily take a peek at its pages. In 2014, the announcement came that the elusive Pioneer Girl would be published, notes and all, I was thrilled. I preordered it immediately. After seven long months on the backorder waiting list, my copy arrived. I cracked it open and started reading. Personally, I think it’s great. But, to the casual, non-history lover, it’s a tough slog. The heavy notes and awkward flow do not make it a page-turner. But, for history dorks like me, it’s amazing. I finally got my copy of the Annotated Biography! It’s so fantastic to finally be able to read the whole story, exactly the way Laura wrote it (and to have it accompanied by meticulous notes). That being said, I still haven’t finished it. Because my mind is constantly churning, I began seeing parallels between Laura’s life and my own research. So I started skipping around. You see, whenever I get into a historical book, I tend to look for personal ties to the story so that I can relate to it more intimately. 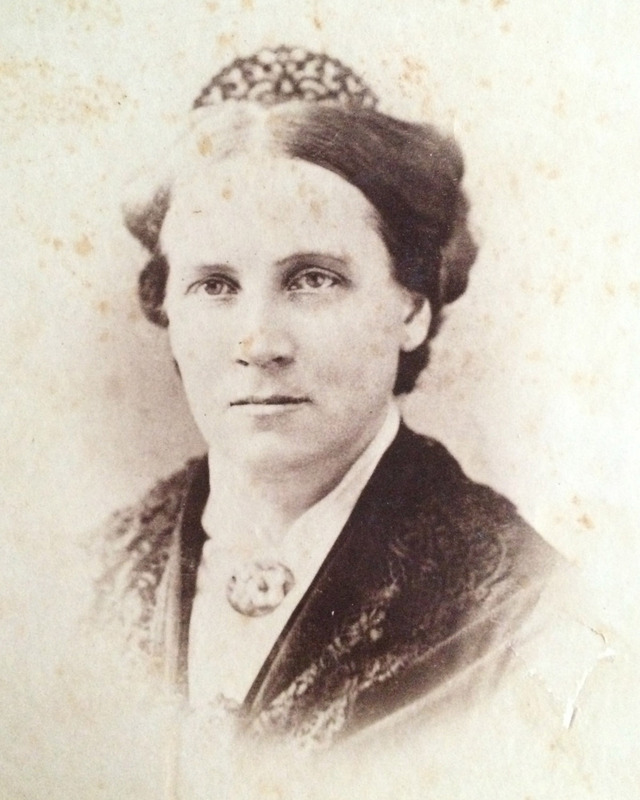 So I started to look at Laura and my great great grandmother, Helen. Little House on the Prairie. Independence, Kansas. 1869ish. Jackpot. 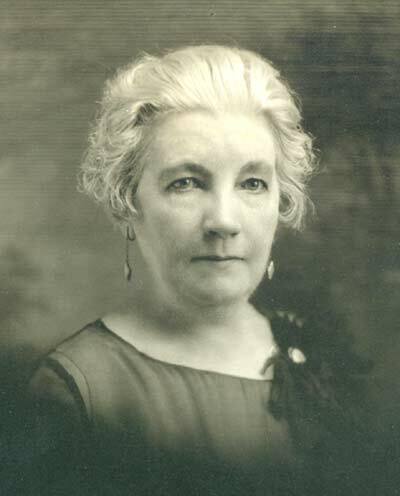 Helen Ekin Starrett, my great great grandmother. Photo © Julie Dirkes Phelps, from personal held family archives. If you follow my blog, you know that Helen Ekin Starrett was, among many things, a published author. Since she and Laura had this in common, my first instinct was to look at this similarity. But the sweet scent of lemon verbena drew me towards Ma. *Caroline Ingalls probably never wore Lemon Verbena. In fact, she probably never wore perfume at all. But, thanks to the television series, I can’t help but think of the fictional Charles Ingalls and his rascally grin when he’d surprise Ma with a small bottle of Lemon Verbena because he couldn’t resist its beautiful smell. Make your own Lemon Verbena Perfume from this link. I can’t wait to try this! I was an Ingalls family junkie too. When I discovered it was fictionalized, I was also flabbergasted. It was all so real to me as a child. I know, right?!?! I remember watching the show before I could read, and I was a little ticked when I saw that the books were different from the show. Then the BOOKS weren’t real either?!?!?! But finding the truth behind it all made everything so much more fascinating, and then adding the personal connection made it even more real. I have the next 2 parts ready to go. I can’t wait to share! I looks like I’ll end up with about 5 or 6 parts before its all finished. Now I want to go on a Laura (or Caroline?) Roadtrip!!!! Heather, Pioneer Girl is so inspiring on so many levels! I would love for every girl to read it and find her own story in it. We are all in there somewhere! I have 2 and 3 ready to roll! This has been a TON of research— I haven’t even been on my blog in weeks from all the work I’ve been doing. But it’s so very rewarding. I need to go catch up on reading blogs too. I feel like I’ve been in my own covered wagon lately! Don’t underestimate the value of being inside your own covered wagon every now and then: It helps you better appreciate the vast prairie when you step back outside! 🙂 And thank you very much for recommending Pioneer Girl. I will get a copy, read it, and pass it on to my nieces. Cheers to you, and thanks again for a wonderful read! You are inspiring Julie! I never realized how closely we were alike as history nerds, writers, photographers, and admirers of pioneer woman’s life when we were in high school. Thanks for your blog and I now I can’t wait to order my copy of Pioneer Girl! Awesome!! Thanks!!! You’ll love it. It’s a different kind of book. I think that’s why I liked it so much. I can’t wait to take the Crazy Train to visit all these places.